Small pets are welcome in our hotel. Please notice that they are not allowed at the restaurant and breakfast room. For organized groups special rates on half board or bed and breakfast – CONTACT US!  The hotel Susa & Stazione will not make any charge before your arrival, we reserve the right to pre-authorise credit card prior to arrival on a secure server system. The payment will be made at the hotel at departure in cash or credit card. You can cancel your reservation within 48 hours of arrival(Italian time) without penalty. The cancellation less than 24 hours of arrival or non arrival provides a penalty of the all total cost of booking. Cancellation less than 3 days loss of the poured deposit. For the stays of more than the 2 nights, in case of non-arrival and / or early departure, must be paid the full amount of reservation.